Mascarello’s 2008 Barolo is a wine of extraordinary elegance. 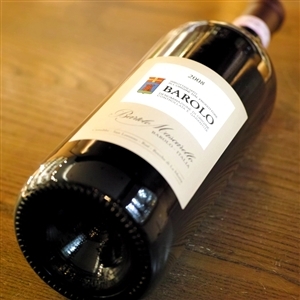 A sweet, open bouquet leads to dark red fruit, mint, spices and licorice in this pretty, nuanced Barolo. The 2008 is all about detail and understated finesse. It boasts breathtaking purity in its fruit and fabulous overall balance. A textured, finely-knit finish leaves a lasting impression. The 2008 is very classic in style. It will require considerable patience, despite its deceptively medium-bodied structure. This is another dazzling wine from Maria-Theresa Mascarello. Anticipated maturity: 2018-2038.